The Zhanjiang division of the 2018 China Open Amateur Tour (teenage group) concluded at the city's Sports Center on Aug 5, following two days of competition among 82 young Zhanjiang, Guangzhou and Yangjiang athletes. The event was jointly hosted by the China Open Organizing Committee and the Zhanjiang Sports Bureau. 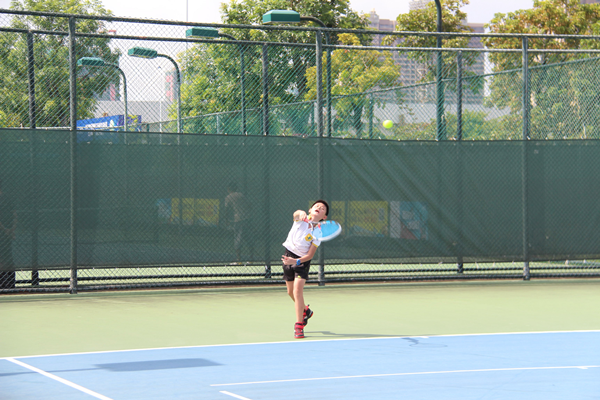 The Zhanjiang Youth Tennis Association oversaw the competition with support from Zhanjiang Xingke Sports Culture and Beijing Hezhong Sharing Sports Management. All contestants were divided into four categories based on their age: U14 (aged below 14), U12 (aged below 12), U10 (aged below 10) and U8 (aged below eight). In the first round of competitions, players had to compete with each other in a round-robin format, with each victory earning them 50 points and each loss costing them 20 points. Only the top 16 players could advance to the elimination rounds the following day. In the end, Yu Guo won first place for U14 men's singles, while Cai Yunfei won the U14 women's single. Li Zhaoxu took gold of the U12 men's singles. First place in U10 men's and women's singles went to Liu Tianrun and Chen Leyu, respectively. 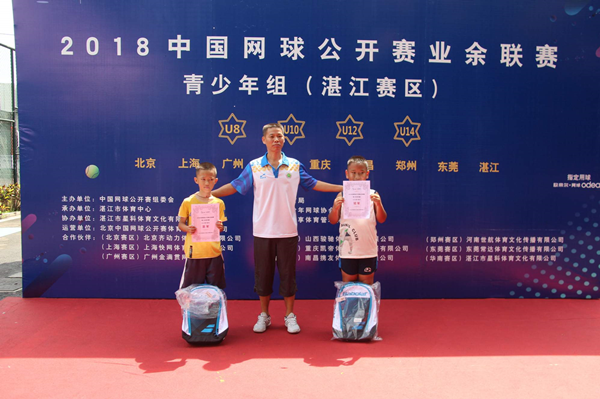 Mo Yunye and Huang Ziting were winners in the U8 category. The champions, along with the runner-ups, will face off against other standouts from the Beijing, Shanghai, Taiyuan, Chongqing, Zhengzhou, Nanchang, Guangzhou and Dongguan divisions at the national finals, which are scheduled for October. Copyright © Zhanjiang Municipal Government.